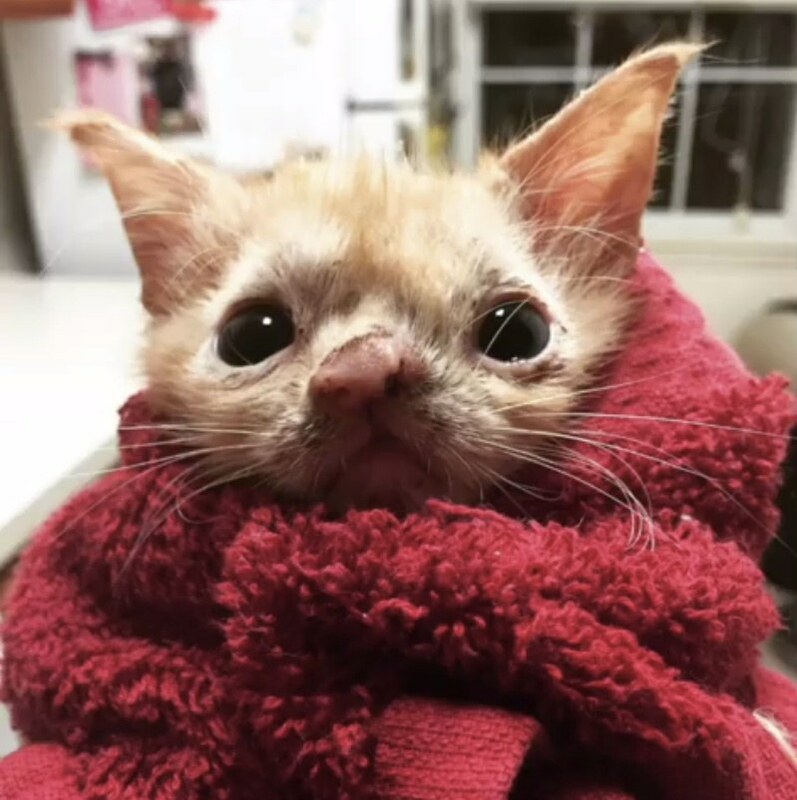 A tiny orphaned kitten, later named Smush, was found outside all alone and taken to the University of Florida College of Veterinary Medicine. This kitten looked much different from other cats. She was born with a cleft palate and had congenital conditions. But aside from cosmetic problems, she was also suffering from health issues. She had an upper respiratory infection, severe ringworm, and wouldn’t even eat. 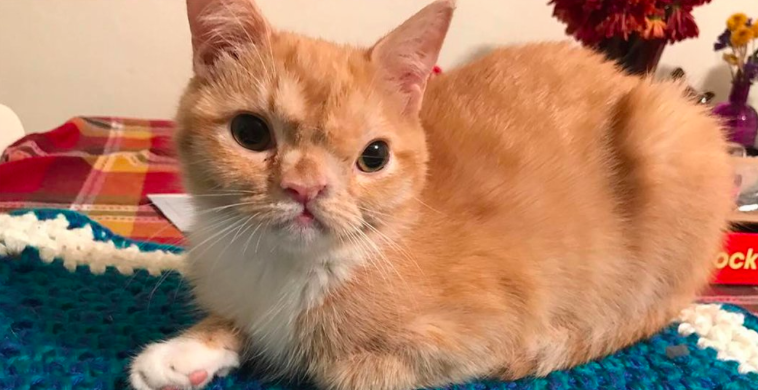 Smush needed round-the-clock care, so a vet student named Lindsey Hidenrite, who is the cat coordinator for Helping Hands Pet Rescue, volunteered to take her home. For the next month, she syringe-fed her, gave her baths for her ringworm, and made sure she got the best care. If Lindsey didn’t take her home, she would have been euthanized. 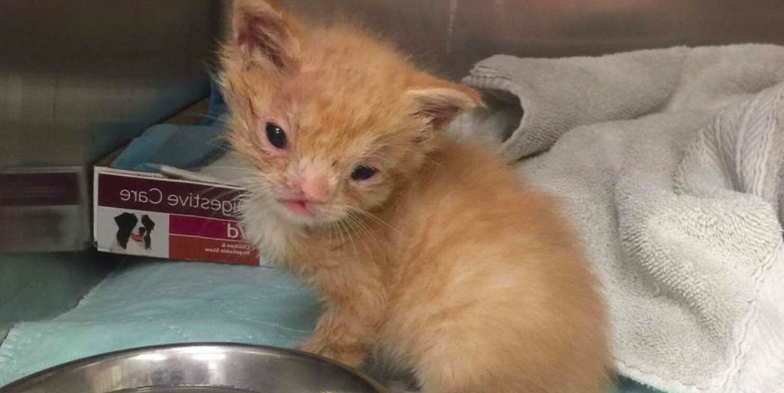 As days and weeks went by, Smush was recovering well and her personality was starting to shine. 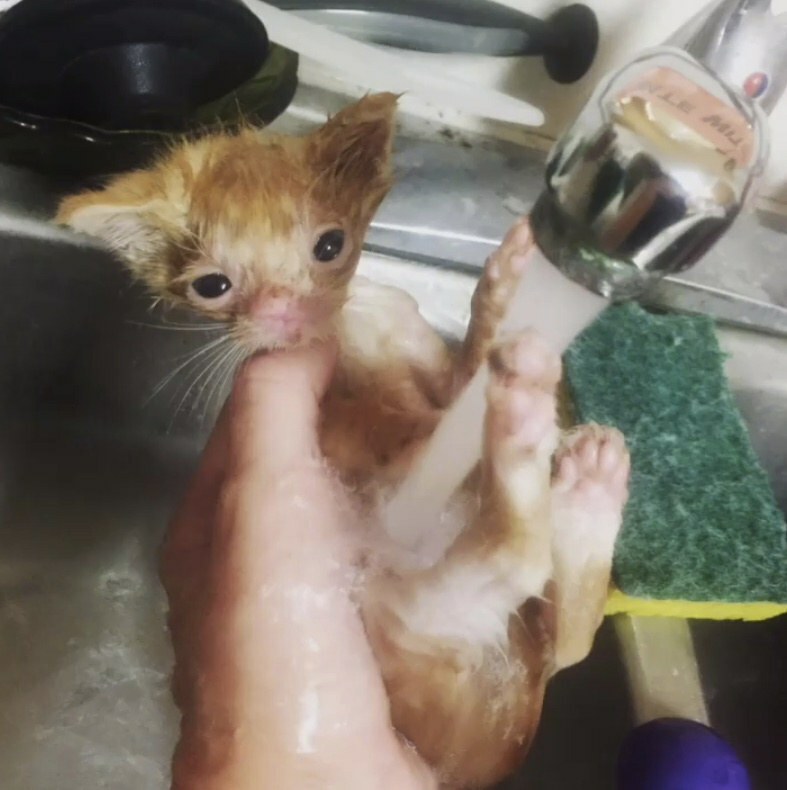 She was thriving in foster care and was a happy, friendly kitten. 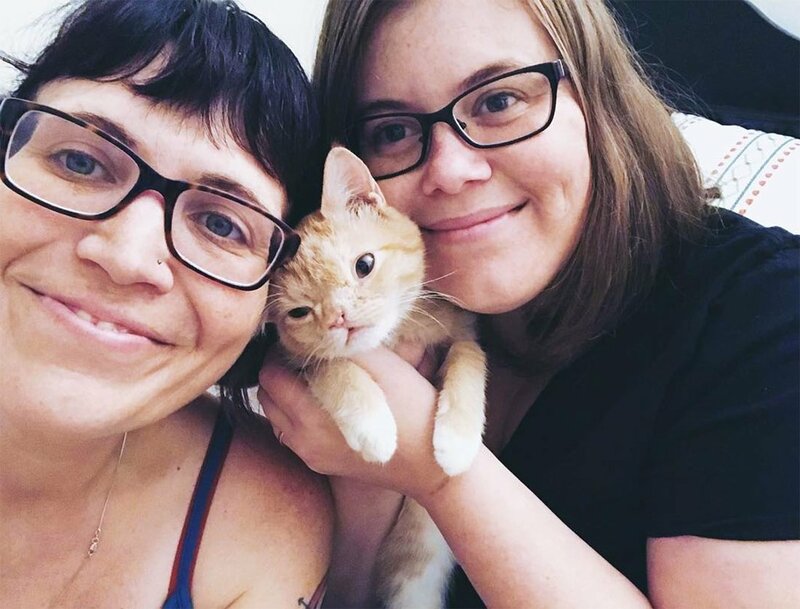 Hidenrite’s friend, Shannon Jackson, is a photographer who takes photos of shelter pets to attract potential adopters, saw her post a picture of Smush on Facebook and it was love at first sight. Jackson adopted Smush and couldn’t be happier. Smush may look different from other cats, but she doesn’t know it. She is playful and feisty just like any other cat. 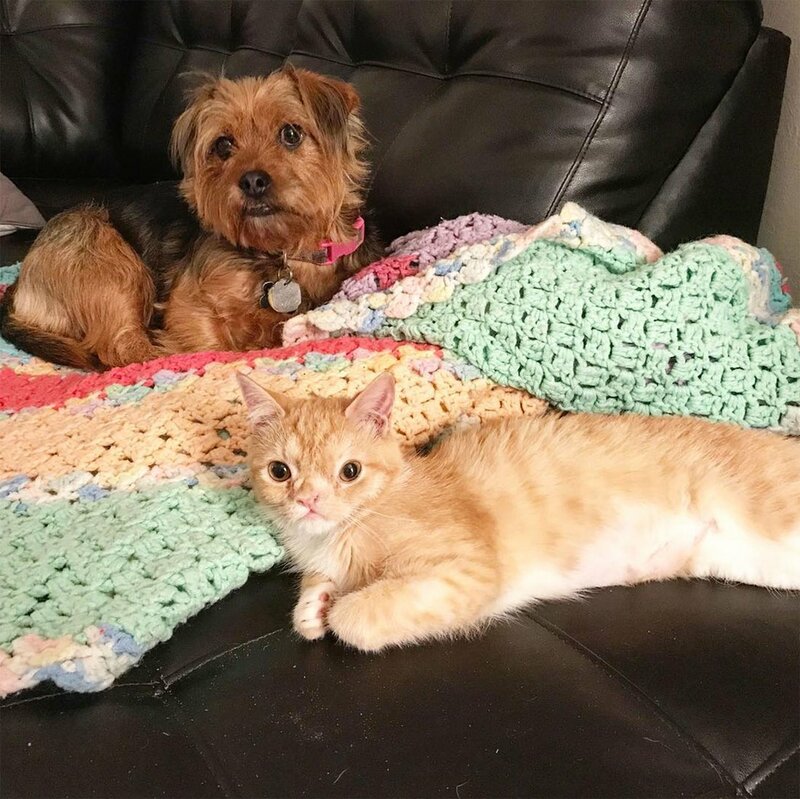 Smush is loving her new life with her new humans, three doggy siblings, three kitty siblings, and even a hedgehog! She got a second chance thanks to Hidenrite, Jackson, and all of the others along the way who helped her live. Click here to follow Smush on Facebook, and here to follow her on Instagram.